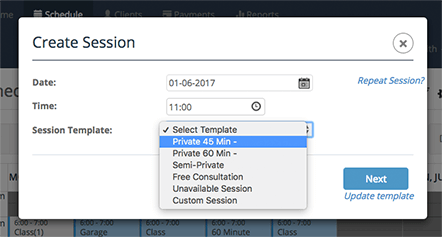 Easily schedule your classes or private sessions. 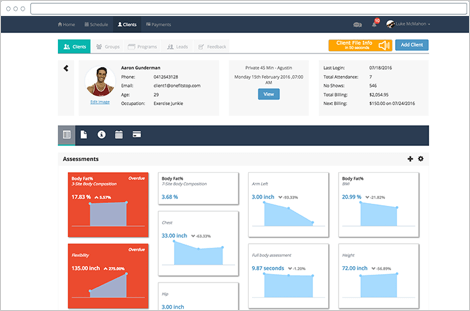 Configure capacity, waitlists and, reservation and cancellation policies and more. 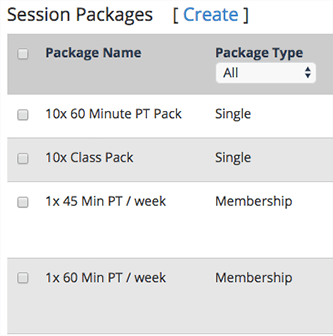 Create packages or recurring billing memberships. 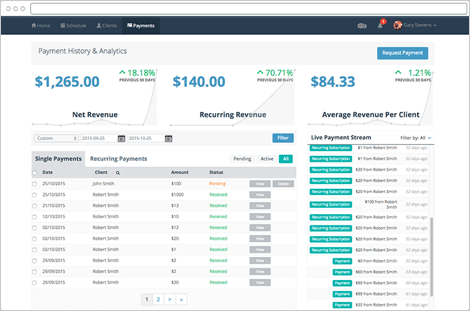 Let OneFitStop handle all invoices and sync with your favourite online accounting packages. Get to know your business better. 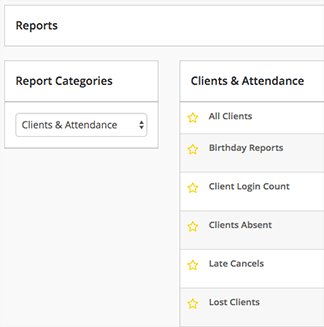 Robust and highly customizable reports will keep you informed about your members and attendance, marketing efforts, financial performance and staff. 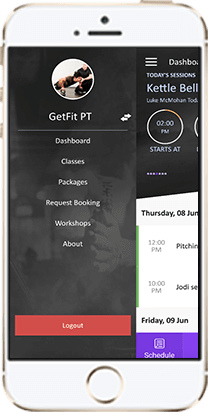 Get your very own custom mobile app or embed OneFitStop into your website or Facebook. 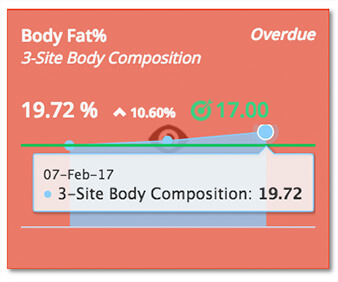 Track client performance with assessments, programming, goals, progress photos and more! 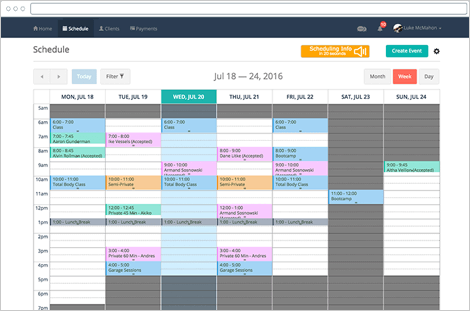 Manage your schedule easily and effectively. Managing your schedule can sometimes take more time than even running boot camp classes! Manage Your Clients In One Location. Add value to your clients at all times. Let's face it, there's nothing worse for a yoga studio than chasing payments for sessions. 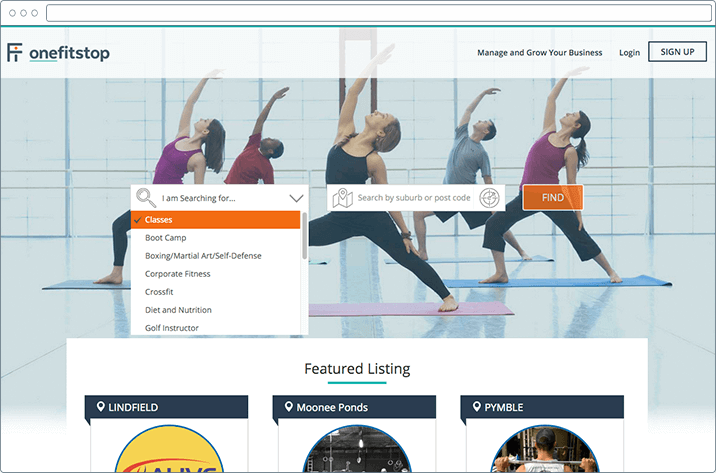 Growth Tools For Your Bootcamp Business. Growing a successful bootcamp business is often the biggest challenge to overcome. You can rely on our customer support team to help you get your personal training business equiped for success. Our support team will take the time to understand your business and assist in getting your software configured. Do you have an existing client database? Our team will help import this data into your account. Find the answers you are looking for in our knowledgebase support centre or contact our support team anytime. Focus on growing your business. Let us help you with management. We take the time to ensure OneFitStop is the right fit. Already have a software? We make sure that transfers are seamless.